"Tel un jardin naturel" & "Un abri dans l'ermitage"
French artist Gilles Bruni produces contextual based landscape works. 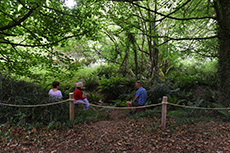 He is particularly interested in the ecology of a place, its inhabitants and their history. He often, therefore, builds collaborations and partnerships with others to make work happen. His art works and field activities have taken him beyond France to Germany, the USA, Canada, Denmark, Italy, Austria and Venezuela. We are delighted that this residency will be his first in the UK. At Hestercombe he is drawn to the Landscape Garden and the potential restoration of an eighteenth century ‘Hermitage’. From 9th July he will become Hestercombe’s own ‘Hermit’; building a shelter and reacting with visitors. Not only does this work relate to the history of Hestercombe but for the artist it also resonates with today’s migrant crisis. 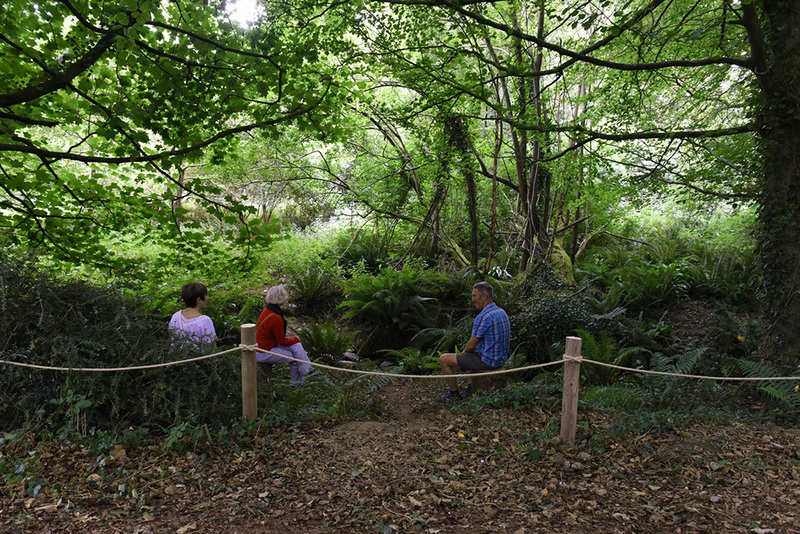 The hermit's walk: on Thursday 12th July and Wednesday 18th July, Gilles will lead a walk to some of the hidden sites of Hestercombe. The uses of the place: artist's residence. Every meeting acts as a revelation of the landscape: a old system of irrigation is brought to light here, a ditch testifies of the old agricultural activity there, trees fallen during storms become the places of an important biodiversity, in it under wood the light becomes green … Fed by his first meetings, Gilles Bruni begins a performance: a wandering through the woods and valleys, presented to the Meetings in gardens in 2017. then he pulls a protocol of work and creation which he activates in the course of individual walking realized with people from the town of Bignan. Through these walking, the emotion and the knowledge of the places of each train a domain for the multiple faces. 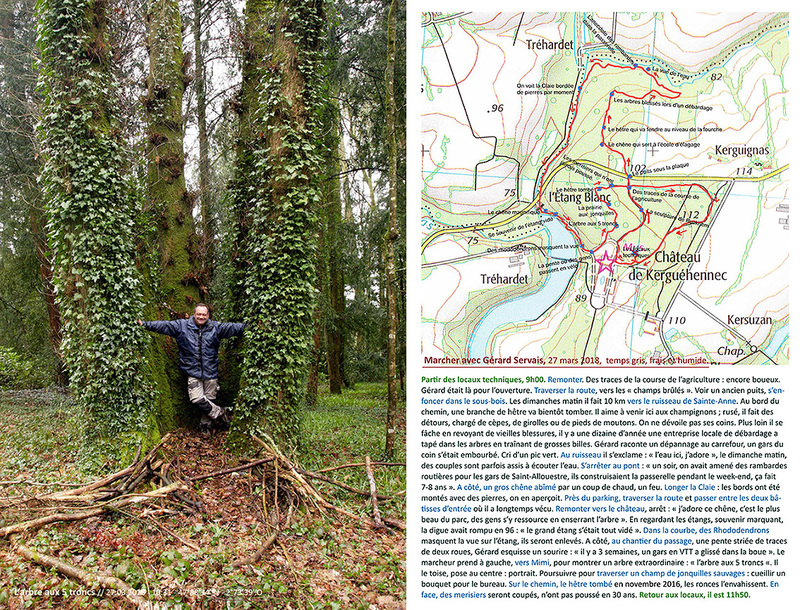 In the Detached house of walking (Le Pavillon des Marches), Gilles Bruni shares the tracks of these 'artpentages': noted routes, texts, plans, photos are so many elements allowing to feed the experience of the place and to understand the work in the course of an artist in residence. Within the the time of the exhibitions presented from July 1th till November 4th, 2018 to the Domaine de Kerguéhennec, The detached house of walking will be open to the public. Since december the 9th 2017 the exhibition circulates around the lake, it restores the residence organized by 'l'Esprit du Lieu'. During one year, by season in season, accompanied by the association 'l'Esprit du Lieu', Gilles Bruni has surveyed the lake and his swamps to be inspired by it and create artistic and vegetable forms. It is the synthesis of this work which he presents us today. During one year, Gilles Bruni has surveyed the lake de 'Grand-Lieu' and his swamps, sometimes crossing it, often by-passing it, to know more about this place which shies away from the too much pressed visitor. Gilles Bruni went to meet human local residents and non-human local residents to build up to itself his own experience of the place and produce artistic forms which are not so familiar to him as the mask-hiding place or the hybrid sculptures between the animal and the vegetable. During this artistic ride in the swamp, Gilles Bruni will stage the appearance of the 'Grande Bloute', mask-hinding place which arose from its meeting with Grand-Lieu. Meet the 'Grande Bloute', artistic ride on swamps, on Saturday, October 14th at 3:30 am, Locality la Tuilerie / Saint-Lumine-de-Coutais. The Cité des Électriciens opens its doors for the Heritage Days, on September 16 and 17, 2017. A preview presentation of the Refuge, installation of Gilles Bruni in the 'carin' of artists, where the flora of wasteland alongside new productions (papers, tissues, plants). Residency Kerguéhennec 2017-2018, a performance in the form of a walk involving an audience in the Domaine of Kerguéhennec, during the "Rendez-vous aux Jardins" days, 1st weekend of June. Saturday 3 and Sunday 4, June. Symposium of Art Nature 2016, from september the 22th to october the 2nd in the "parc écologique du Millénaire" University of Moncton, New-Brunswick (Canada). Dix jours d'art public et de conférences autour du thème de l'aménagement du territoire par les arts et l'écologie. Une initiative du Département d'arts visuels et du Département de sociologie de l'Universtité de Moncton, de la Galerie d'art Louise Reuben-Cohen et de l'association acadienne des artistes professionnel.le.s du Nouveau-Brunswick. September the 22th to october the 2nd. Antigonish from august the 24th to september the 15th 2016, réalisation d'une installation artistique paysagère sur un espace de Antigonish Landing et présentation lors de la manifestation Antigonight les 16 et 17 septembre 2016. Installation from august the 24th to october the 31th. 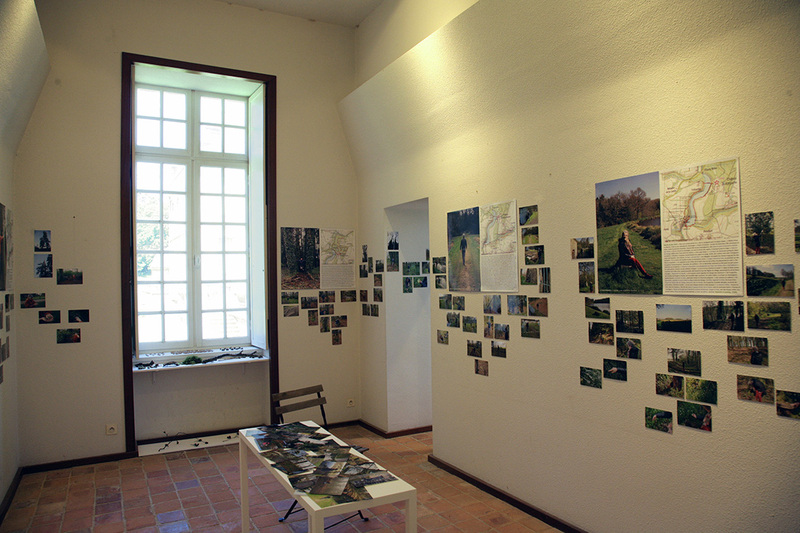 From a proposition of the PETR - Pays du Sundgau, STUWA, le parcours Art et Nature du Sundgau, est inauguré en 2015 avec 6 artistes contemporains qui ont investi 7 communes de ce territoire du sud de l'Alsace. En 2016, la seconde édition a rassemblé 7 artistes qui ont investi 7 nouveaux villages avec des propositions en écho à la nature, aux cultures et au patrimoine local. Opening sunday june the 5th. Participation to the exhibiition curated by Dores and Rose Sacquegna in the Conference Center of Thiva, Tebe, Greece. 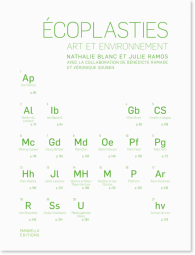 Gilles Bruni documents his works on landescape, ecology of the place, people and their history in the following videos: "The rotting in the undergrowth" on material reuse, and "Waste land", on the practises of landscape ecology in public spaces. "grotesque 2 : an underground landscape"
Participation in the edition 2014 of the Contemporary Course of the City of Fontenay-le-Comte who is opened to the public from 12 till 20 September 2014. Having centered on the resonance between heritage and contemporary art, demonstration institutes a dialogue between today's works of art and the urban area which welcomes them: Home Chevolleau, Museum of the Vendée of Fontenay, Home Billaud, n ° 22, place Belliard. On Saturday, July 12th in Saturday, September 20th. To close three working years, the storytellers of the Laboratory 3, accompanied by Abbi Patrix and the artist-landscapist Gilles Bruni, prepared two parties when the worlds of India and of Land Art meet. "Let us cultivate our garden! #2", The Home of Tale, Chevilly-Larue, Val de Marne, France. From Friday, 27 till Saturday, June 28th. Exhibition from January 11th till February 8th, 2014, private view on Saturday, January 11th from 17 h.
"Some niches for being immersed into the wood of mapple trees"
Participation in event “Créations sur-le-champ” 2013, which takes place this year from 16 till 20 October 2013 for the seventh year. The place where takes place event, orchard of Mr Michel Robert, “the Pavilion of the apple” of the north side, located at the foot of the Mountain of Mont-Saint-Hilaire, Quebec, Canada. Dates: between 15 and October 19th, 2013. As part of a residence organised by the Metropolitan area 'Artois Comm.' to the City of the Electricians, City of Bruay-la-Buissière, Giles Bruni led this residence for two years, with the active participation of groups which made live this plan and allowed to succeed the installation of the camping in the waste land of these historical miners' terraced houses before its rehabilitation. On the occasion of "Courant Septembre", the event which will mark the final closing of the site and the beginning of jobs, the job of serat visible Gilles Bruni during a dozen days. At this occasion the public will be able to visit the site, participate in events and go through "Encampment". On Tuesday, September 10th in Friday, September 20th in the City of the Electricians. As part of a residence organised by the Loire-Atlantique Departemnet in the castle of Clisson, Gilles Bruni, accompanied with Arnaud de la Cotte, follow their job on the question of the place of the plants in the ruins. At this beginning of July, shutter 2 of this plan ends. To this occasion we invite you to come to exchange around this plan and to discover achievements. 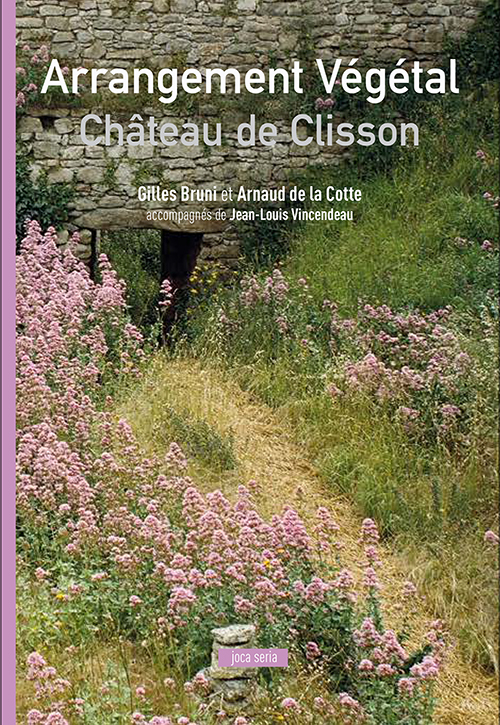 On Saturday, July 6th at 16 h 30 in the castle of Clisson. 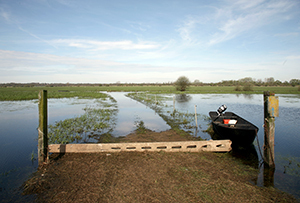 Friendliness, ecology and life practices"
"Balance : go up - go down / go down - go up, change point of view to feel the marsh better"
Marsh of the Domaine de Chamarande, Essonnes, in link with the plan of management of the park. From February the 24th to March the 11th: exhibition 'Circum Lacustre' from Gilles Bruni at the 'Grand-Lieu' 'Maison du Lac', rue du Lac à Bouaye (44). 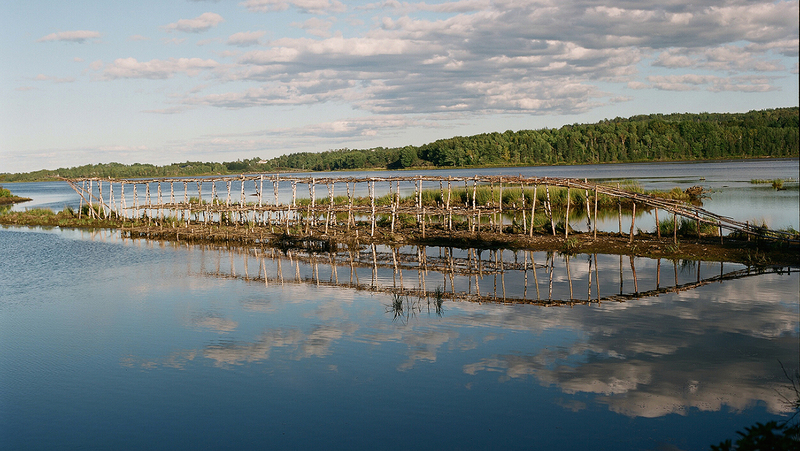 During one year, by season in season, accompanied by the association l'Esprit du lieu, Gilles Bruni has surveyed the lake and his swamps to be inspired by it and create artistic and vegetable forms. It is the synthesis of this work which he presents us from February 24th till March 11th, at the 'Grand-Lieu' 'Maison du Lac'. 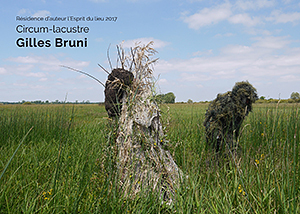 Meet the 'Grande Bloute', performance played during an artistic ride on swamps, on Saturday, October 14th, 2017 at 3:30 am, Locality La Tuilerie / Saint-Lumine-de-Coutais. Residency 'Circum-Lacustre', l'Esprit du Lieu, Current project, since July, 2016, presentations planned in municipalities around the Lake in autumn, 2017. 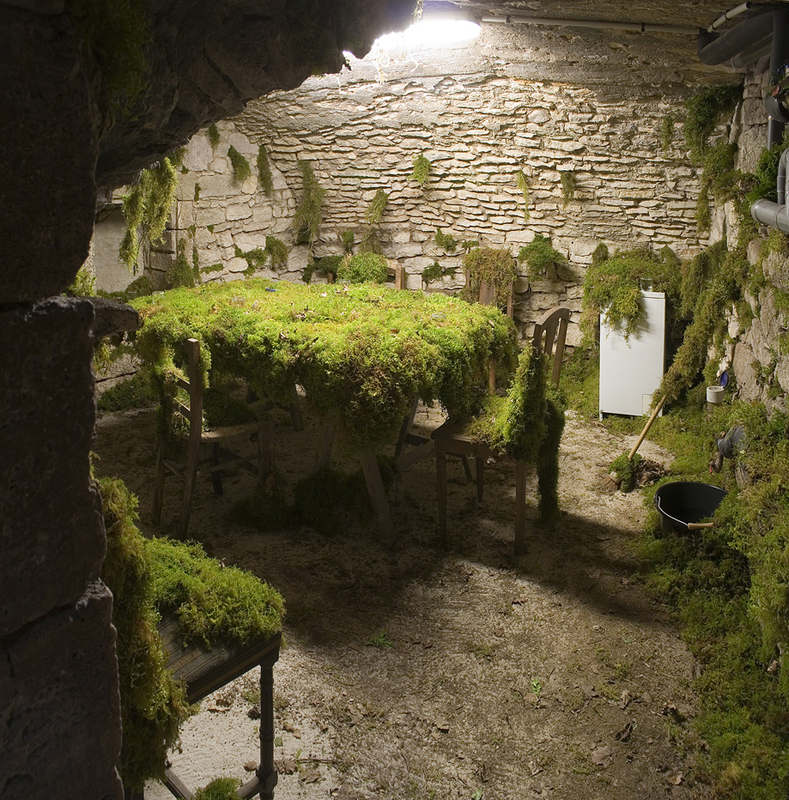 "Vegetal Arrangement " is an artistic experience led by Gilles Bruni accompanied with Arnaud de la Cotte as part of artists' residence in the Castle of Clisson from March, 2012 till October, 2013. During two years, by the enchantment of Arrangement, the castle filled up with seagoing characters between invention and reality, the gardener, the artist, the visitor, followed by the small underground crowd of the plants which live in the place. To the rhythm of seasons, 14 stations fanned out in areas divided by the ruins to offer a parallel history. In the course of dialogue, they wonder about their report in the place, in the visitor and in the plant. In the course of pictures they rebuild the space of Arrangement, weave sometimes fine links with an intimate story of art and practice of Gilles Bruni. Jean-Louis Vincendeau, historian of art and of gardens, carries a poetic look on the whole plant Arrangement. Video accomplished as part of a residence organised by the Metroploitan area 'Artois Comm.' in the City of the Electricians, City of Bruay-la-Buissière. Giles Bruni led this residence between 2012 and 2013, with the active participation of groups which made live this plan and allowed to succeed the installation of the encampment in the waste land of these historical miners' terraced houses before its rehabilitation. a way to recycle dead wood, cut or felled and let come decomposers, until humus"
At a time when environment is in the middle of public concerns, "Écoplasties" introduces a panorama of protocols, problems and answers which artists of the whole world develop, each in their way, to consider environment in another way. 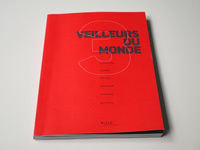 Work shows the diversity of steps and of question settings, both as regards the transformations of artistic practices, in proposals and productions, and the new reports in the environment which they implicate. 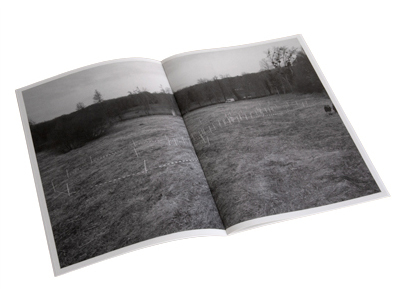 Artists' about twenty discuss so with the authors to explain their link specific for the question of environment. These discussions are preceded of a broad introduction which, by offering a bet in historical perspective, allows to take all measure of this environmental art, its mutations and of its development of the beginning of this century in today.